The catastrophic drought last year in the Horn of Africa affected millions of people but also caused the extremely late arrival into northern Europe of several migratory songbird species, a study published today in Science shows. Details of the migration route was revealed by data collected from small backpacks fitted on birds showing that the delay resulted from an extended stay in the Horn of Africa. Red-backed shrike. Photo credit: Per Ekberg. Download press picture in high resolution. The extensive 2011 drought in the Horn of Africa had significant consequences for European songbirds such as thrush nightingale and red-backed shrike. These birds visit northern Europe every spring to mate and take advantage of ample summer food resources. However, their spring migrating route from southern Africa to northern latitudes passes directly through the Horn of Africa, where the birds stop to feed and refuel for the next stage of their migration. "Our research was able to couple the birds’ delayed arrival in Europe with that stopover in the Horn of Africa. Here they stayed about a week longer in 2011 than in the years before and after 2011. Because of the drought, the birds would have needed longer to feed and gain energy for their onward travel, causing delayed arrival and breeding in Europe. This supports our theory that migrating animals in general are dependent on a series of areas to reach their destination," says Associate Professor Anders Tøttrup from the Center for Macroecology, Evolution and Climate at the University of Copenhagen. 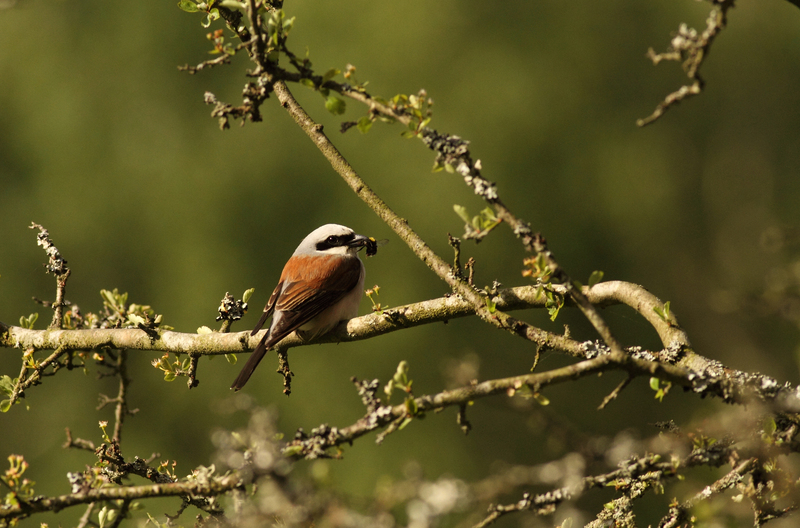 The late spring arrival of European songbirds such as thrush nightingale and red-backed shrike perplexed researchers and bird watchers in 2011. Thrush nightingale. Photo cedit: Mikkel W.
This mystery was even greater considering these songbirds’ tendency to arrive progressively earlier over the last 50 years as climate change has made its impact. 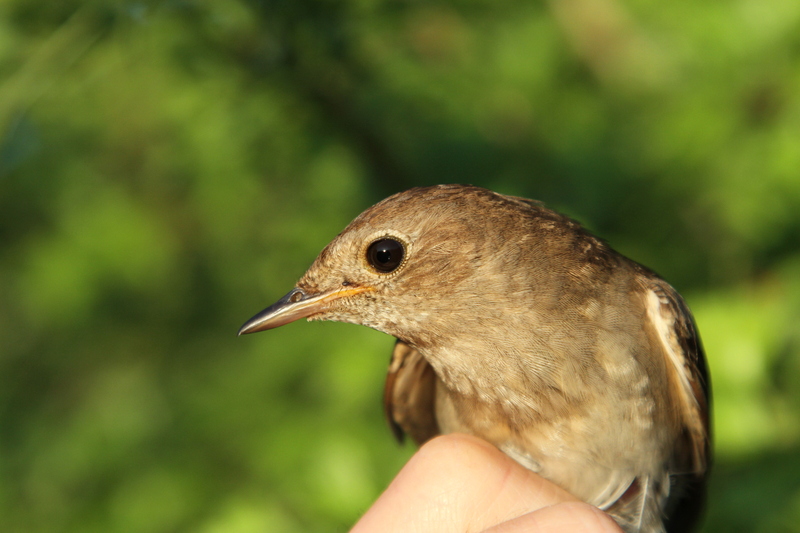 By placing small data loggers on the backs of several birds in the autumn before their migration to Africa, and retrieving them in the spring when the birds returned to Europe, the scientists were able to trace the migration route and stopover sites. These data revealed a delay in the particular stopover in the Horn of Africa. Additionally, it was noted that other migrating birds not passing through the Horn of Africa arrived in Europe at the expected time. "We have reconstructed 26 migration routes based on data from the small 'data backpacks' weighing just 1 gram. This new technology provides us with a detailed picture of the birds’ migration and stopovers. It is brand-new territory to be able to track animals this small over such great distances," says Associate Professor Kasper Thorup from the Center for Macroecology, Evolution and Climate at the University of Copenhagen. The birds’ late arrival in 2011 also meant a similarly late breeding year. "There are no signs of implications on the birds’ breeding success and thereby the size of the population. But it is possible that we haven’t yet seen the full effect of the delayed year," concludes Anders Tøttrup. The research was carried out in collaboration with Lund University in Sweden. Download below more free press pictures in high resolotion. Pictures used must be credited: Photo: Per Ekberg.